In a Hadith Rasulullah (Sallallaahu Alayhi Wasallam) said, ‘This night is referred to Laylatul Jaaizah (night of prize giving).’ Hence, this opportunity should be utilized fully to fulfil one’s material and spiritual needs. There is no specific ibaadat (worship) to be performed in the night before Eid. One may engage in any form of ibaadat, salaah, zikr, dua, tilawaat, etc. 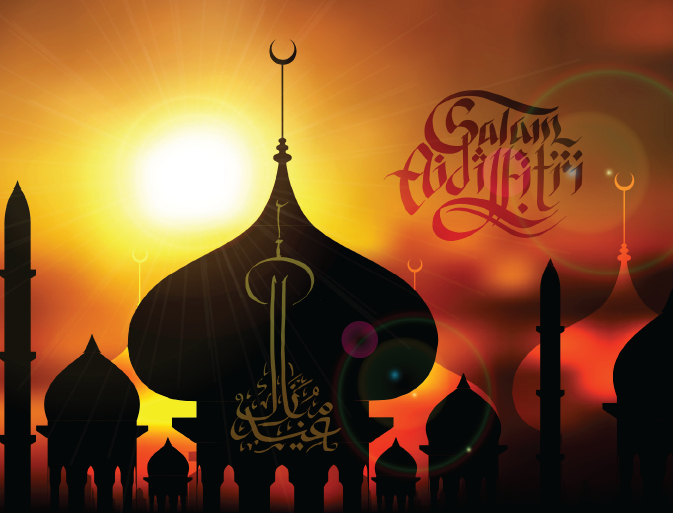 It had been the practice of the Prophet, Sall-Allahu alayhi wa sallam, that he would not sleep in the night preceding the day of Eid-ul-fitr. This night has been named in a Hadith as the Night of Reward (Lailatul Jaiza). Almighty bestows his rewards on those who have spent the month of Ramadan abiding by the dictates of Shari’ah, and all their prayers in this night are accepted. Therefore, it is desirable to perform nafl prayers in this night. To benefit from this opportunity, one should perform as much worship in this night as he can, and should pray for all his needs and desires. Here are some ways in which we can maximise this blessed night and get COUNTLESS rewards from Allah as well as the acceptance of our good deeds and fasts throughout Ramadan inshallah! So increase your recitation of the Quran on this blessed night as well as throughout the year to gain these merits, as well as the following ones. So let us read as much of the Qur’an as possible on this blessed night and continue to throughout the year. Theres no point dusting off the Qur’an at the beginning of Ramadan but as Ramadan finishes we put it back on the top of the shelf or cupboard to gather dust throughout the year. Forgiveness is being shielded from the harmful consequences of wrong actions, and the veiling of them. In other words, seeking Allah’s forgiveness is a cure for all wrong actions. We should get into the habit of sincerely repenting for ALL our past and present sins with the intention of not repeating them again and ask of Allah to help us prevent ourselves from doing them again. We should also ask Allah to perfect our characters and to help us improve ourselves in everyway possible. We should continue to repent everyday of our lives and make this a daily habit inshallah and not just in one month of the year! Repentance should be constant because we sin so much and if we were to die whilst we have not repented then we are DOOMED! `Allahumma Anta Rabbi, la ilaha illa Anta, khalaqtani wa ana `abduka, wa ana `ala `ahdika wa wa`dika mastata`tu, a`udhu bika min sharri ma sana`tu, abu‘u laka bini`matika `alayya, wa abu‘u bidhanbi faghfir li, fa innahu la yaghfirudh-dhunuba illa Anta. It is recommended that you recite in your prayers as much of the Sacred Quran as you know. Otherwise, you may recite 3 times Surah Ikhlas (Qul Hu Allahu Ahad) after your “Alhamdu…” in every Rakat and you will thus derive full benefits of the full recital of the Sacred Quran in every Rakat. The dua’s at the time of Tahajjud are very readily accepted by Almighty Allah and one should repent and ask of Allah and try to cry in their dua’s at this time, if one cannot cry due to the hardness of ones heart due to sin then at least one should make the face as if one is crying. Just as a mother tends to her baby quickly and promptly when it cries the same way Allah attends to his servant quicker when they are crying. We should try and pray Tahajjud every night as it is one of the best and most rewarding Nafil prayers and makes it posible for one to gain the top ranks of Jannah (Heaven). If not then at least pray it as much as we can. The Prophet (sallal laahu alaihi wasallam) has recommended to read this prayer daily on each Friday or once a month or once a year, in case of this not being possible, to read it even once in one’s life. This Nafil prayer provides limitless benefits both in the material and spiritual life. We should get into the habit of remembering and glorifying Allah night and day, everyday of our lives not just in Ramadan. So let us occupy ourselves in much Dua on this special night and ask Allah sincerely to accept ALL of our past and present deeds and fasts, tilawat of Qur’an and prayers and to forgive us for the mistakes and sins we committed this Ramadan, and ask of him to forgive ALL of our past and present sins and help us to keep away from them. We should get into the habit of making dua to Allah everyday in our lives and build a relationship with our creator. Those who do not make the best of this opportunity on this blessed night to worship Allah and make much dua and has surely lost outGREATLY! Assess and evaluate yourself and make the changes for the rest of the year! While the practice of fasting during Ramadan is widely followed, the instruction about self-evaluation during and after Ramadanhas largely been forgotten. We should strive to continue the good we have done in Ramadan throughout the year in our daily lives and discontinue the evil that we left before Ramadan and NEVER go back to it again. This night is a night of self reflection so that we can see what we have achieved and making vows to Allah that we will continue with the good and stop the evil that we did before. This night we should reflect on how we have spent Ramadan and continue the good and discontinue the evil and then inshallah our deeds will be safe and protected from being wiped out. Note: Doing good and wanting to please Allah is NOT only for Ramadan, but it is FOR EVERYDAY OF OUR LIVES UNTIL DEATH!! !